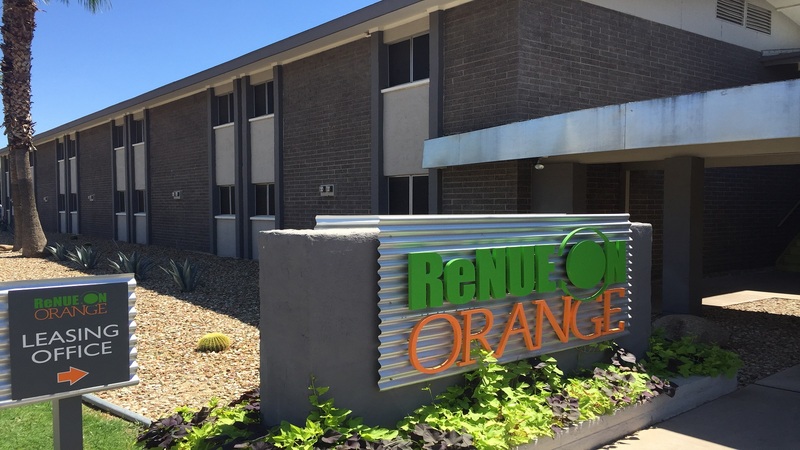 Phoenix, AZ – April 3, 2018 – ABI Multifamily, the Western US's leading multifamily brokerage and advisory services firm, is pleased to announce the $13,000,000 / $118,182 Per Unit sale of the ReNue on Orange Apartments located in Tempe, Arizona. Built in 1968, and substantially rehabbed in 2015/16, ReNue is a two and three story, garden-style apartment community that features 110 units in 5 rental buildings of masonry/block construction and master metered for electricity and water. The property has pitched roofs and rests on approximately 2.81-acres. The unit mix consists of (52) one-bedroom / one-bathroom units and (58) two-bedroom / two-bathroom units, with a weighted average size of 896 square feet. "ReNue is located near both ASU/Downtown Tempe and the Dorsey/Apache Blvd Light Rail stop," states Eddie Chang, Partner at ABI, and lead broker for the buyer in this transaction along with Doug Lazovick, Partner, and Ryan Smith, Senior Vice President. "Tempe has witnessed amazing growth since 2010. First, ASU has continued its expansion and recently crested 100,000+ students. Second, according to Phoenix-based U-Haul, Tempe was America's No. 1 Growth City in 2017. Lastly, Tempe was recently named as the top office market in the country. Given the strong market fundamentals, the buyer MJW Investments & Tides Equities, experienced student housing & value add investors, plans to create value through additional interior/exterior renovations in addition to increasing the bed count to the oversized units." The buyer, MJW Investments, Inc, & Tide Equities, LLC are private investment firms based in California. The seller, ReNue Properties, is a private investment firm based in Arizona. The multifamily brokerage team of Eddie Chang, Doug Lazovick, Ryan Smith, John Kobierowski, Alon Shnitzer and Rue Bax represented the buyer in this transaction.